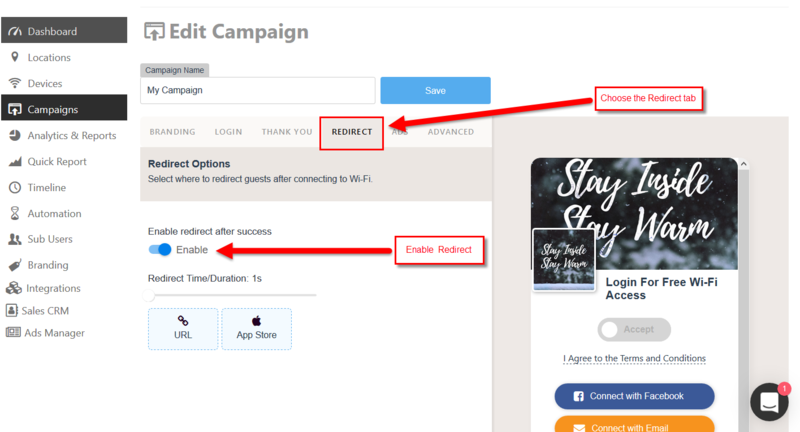 The MyWiFi platform allows you to direct users to your client's smartphone app after successfully signing in to the MyWiFi hotspot. 1. 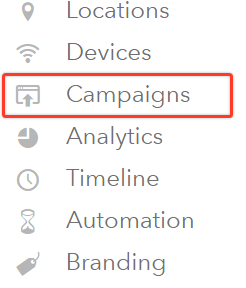 Log into your MyWifi Dashboard and choose Campaigns. 4. On the edit screen Click on the Redirect tab and enable "Enable redirect after success". 5. Choose App Store. 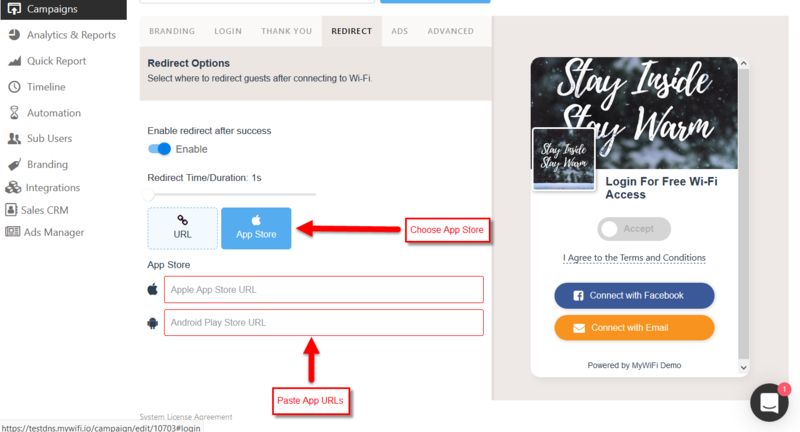 Here you will be able to paste the URLs for the App from the Apple App Store and Google Play. 6. 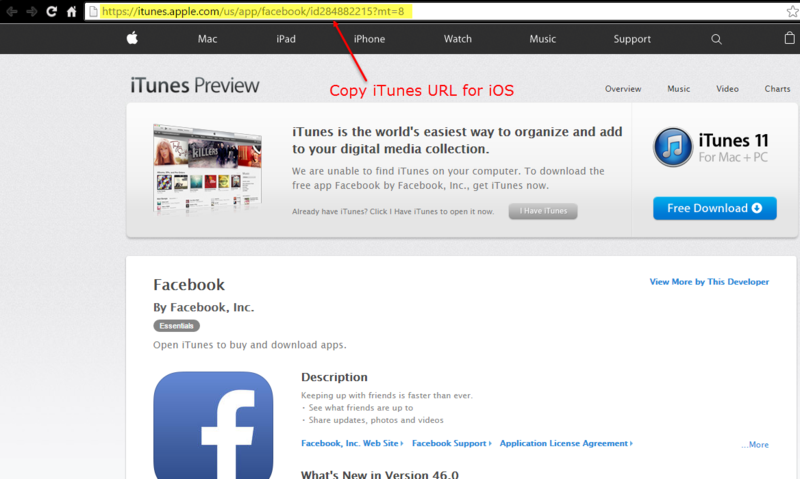 To find the URL for the App you want you can look it up in its respective App Store or Search Google. As an example I have searched Facebook App and found the iTunes and Play Store links. 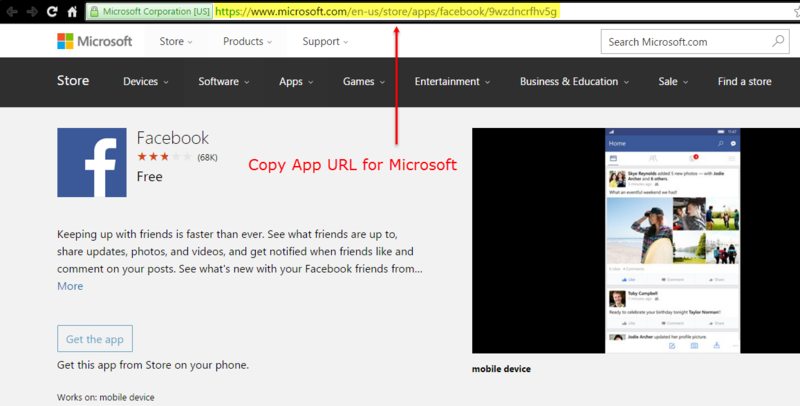 For Microsoft Apps you may need to expand your Search term to something like Microsoft Facebook App. 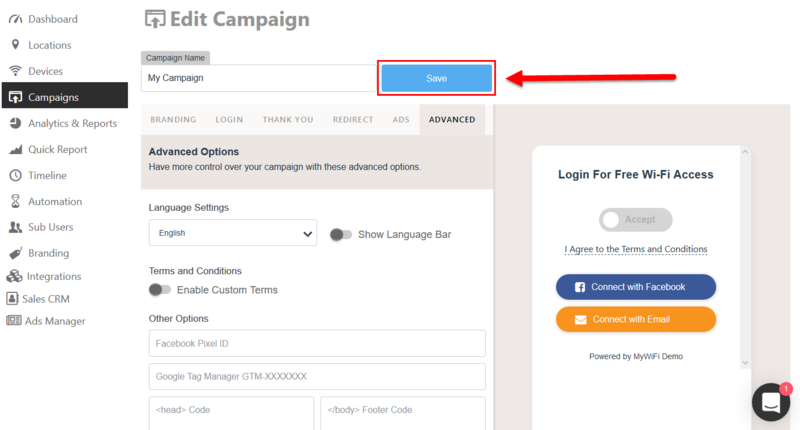 You will need to copy and paste the URLs shown below into their respective fields shown above in Step 3. 5. Once you have added the App URLs, click Save. Congratulations! Users will now be directed to your App upon successful login.